Added a new audio section to the page. So far it contains audio of a sonic boom and a flyby. Added Ed Markham's painting, The Sled Riders, to the Gallery. My thanks to Mr. Markham and Mr. Dru Blair for their kindness in allowing me to display their art here. A photo of a NASA SR-71 with the "canoe" fixture attached for LASRE testing. A photo of three NASA SR-71s on the tarmac. A painting of an SR-71 by an unknown artist. If anyone knows the identity of the artist, please let me know! Changed the Links section to a tabular format for easier readability. Added a painting by Dru Blair entitled "The Last Hot Flight," displayed here with his kind permission. Added a new photo of A-12 S/N 60-06932. Totally revamped the photo gallery, with thumbnails displayed on the page. Let me know if you like it! The photo gallery contains 35 photos, including many new ones. Added two video clips, one of an SR-71 flyby and another of a landing at Kadena AB, Okinawa. They are reproduced here with the kind permission of the owner, Mick McClary , who shot the footage himself. You can order his complete set of Okinawa video tours at his site. Added a video section. I will also soon be adding a section about my personal thoughts about the Blackbird. Added a link to a somewhat more reader-friendly version of the OXCART story. I found this today quite by accident. 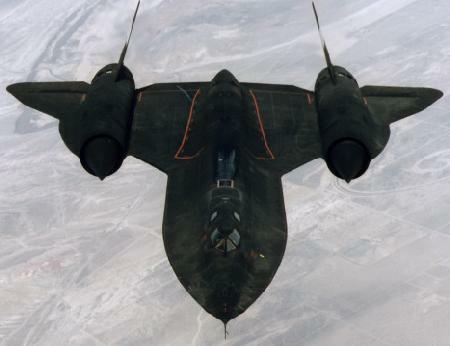 Also added a cool new SR-71 photo at the top of the page instead of the old one, and included some more detailed information about the history of the Blackbird. Two more things--I made the format a little more organized, with subsection headings, and added a new link to a website called Blackworld. It is an unofficial website for past and present U-2/SR-71 maintainers. Added a first-hand account of just what this marvelous bird was (is) capable of. Included some information in the first paragraph about how the SR-71's name came to be. 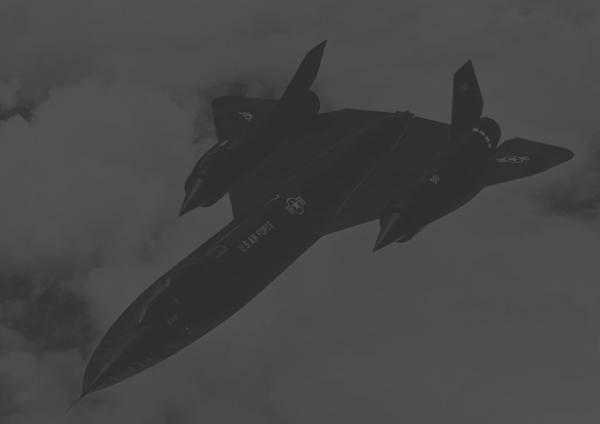 Added a link to a satellite photo from Terraserver.com of SR-71A 64-17964 at the SAC Museum at Offutt AFB, Bellevue, Nebraska. Updated link to Troy Adams' website, Shadowed Blackbird. Also check out his new domain, www.blackbirds.org. Added a table of SR-71 Specifications, courtesy of John Stone's Lockheed Blackbird Page. 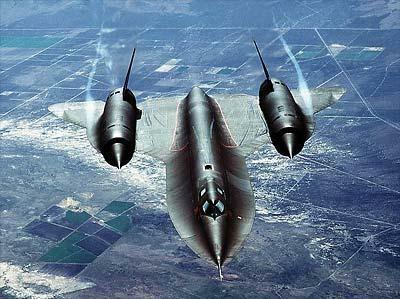 Updated the link to John Stone's Lockheed Blackbird Page. It is now at http://www.blackbirds.net/.